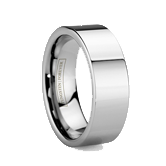 Leader in retailing Tungsten rings and Tungsten jewelery educates the public on the benefits of Tungsten Carbide by launching updated resource pages. 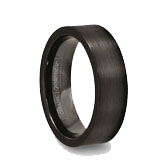 As leaders in the tungsten carbide industry, Tungsten World continues to look for ways to promote the astounding benefits of wearing tungsten rings and tungsten wedding bands. Tungsten World has launched updated resource pages to provide information and insight into some of the most common questions about tungsten wedding bands. Because while tungsten continues to grow in the jewelery industry, and also while it is appearing on the hands of more brides and grooms each year, many people are still undereducated on the benefits of this modern marvel of a metal. 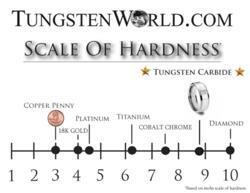 Scale of Hardness: One of the many visual resources Tungsten World provides in helping people understand the hardness and durability of tungsten. 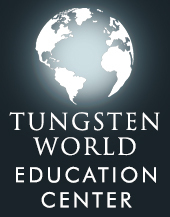 With this in mind, Tungsten World launched the Tungsten World Resources section of their website. 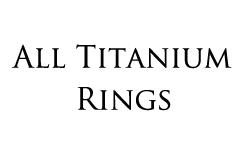 Those clicking on this section of TungstenWorld.com will find an extensive listing of resource pages dedicated to all things tungsten carbide. 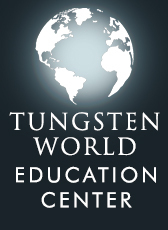 Furthermore, the experts at Tungsten World have identified the top 5 most common questions (faq’s) regarding tungsten, and optimized those resource pages to give the most info possible. Included in the top 5 most asked tungsten questions, the difference between Tungsten vs. Titanium has remained the most commonly asked question of all. 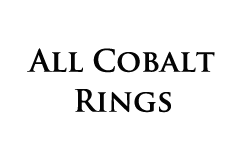 The resource page dedicated to this topic breaks down the differences both composition-wise and in terms of practical wear. In kind, many are curious of the difference between Cobalt vs. Tungsten, with both a quick breakdown and a more extended look at the two alternative metals. Customers considering tungsten rings greatly benefit from knowing the difference between comfort fit sizing and standard fit, and on the Comfort Fit Wedding Band Sizing resource page, Tungsten World gives a visual comparison between the two and explains the reasons for the half size drop recommendation related to comfort fit tungsten rings. 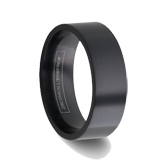 With the special nature tungsten wedding bands and tungsten engagement rings play in couples’ ceremonies, many want a tungsten ring worthy of their individual style. Over on the Custom Tungsten Rings page, Tungsten World gives customers a few pointers on designing a one-of-a-kind custom tungsten ring. And speaking of engagement rings, rounding out the top 5, Tungsten World helps those guys looking for the longest lasting engagement ring a few tips regarding their upcoming engagement and the selection of the tungsten engagement rings their lady will love. Beyond providing valuable info and education regarding tungsten rings and providing its customers with the highest quality Tungsten Forever™ brand tungsten rings, Tungsten World boasts reasonable prices worthy of the quality and craftsmanship of Tungsten Forever’s tungsten carbide rings and tungsten jewelry; never as expensive as the so called “precious” metals but without compromising quality the way some bargain brand online tungsten retailers do. 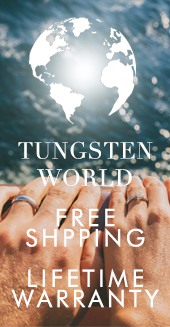 ***News Update: Right now Tungsten World is furthering the savings for past customers (Only for 1 week) with a fire sale of The Moderno and The Classique as great back-up, spare, travel, gift, or casual ring. Past customers are told to enter, Coupon Code: fire49.